FOX News compared pictures today of Barack Obama’s crowds in 2008 versus today. In late October 2008 over 100,000 came out to see Barack Obama in Denver. Fast forward to today… Only 16,000 showed up to see Barack in Denver this week. 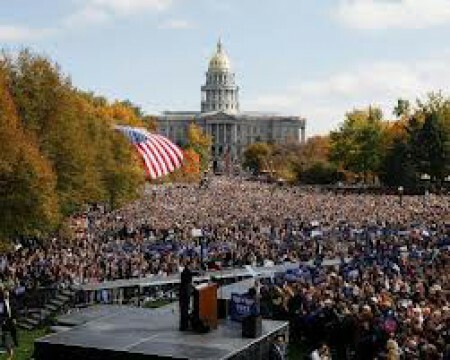 On October 26, 2008 over 100,000 supporters turned out to see Barack Obama in Denver. Fast forward to today… On October 24, 2012 only around 16,000 turned out to see Obama. 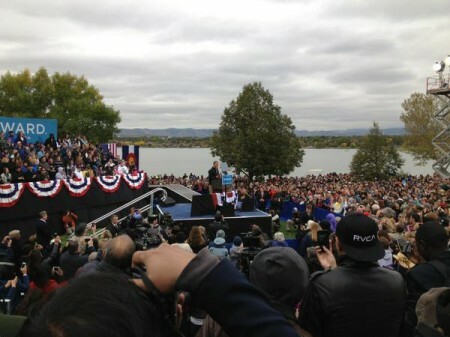 Mitt Romney had over 25,000 at his overflow rally this week in Colorado.